“Why can’t I bring my dog with me to college? Do I really have to leave my pet parakeet at home? Well, where else will these adorable hamsters go if I can’t keep them in my room?” All these are questions you may have heard or asked yourself while a student at Southern Nazarene University. The questions are in response to SNU’s No Pet policy, which many students disagree with or may not understand the reasons behind. The official rule found on page 38 of the handbook at Southern Nazarene University regarding the keeping of pets in the dorm reads as “Animals or pets (e.g., dogs, cats, birds, hamsters, etc.) of any kind are not permitted inside campus residence halls.” SNU is by far not the only campus to restrict pets from being in the dorm. 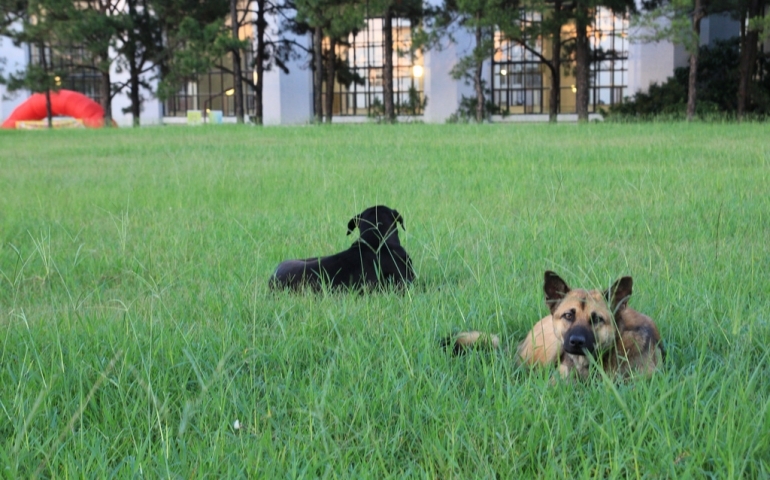 In fact, 62% of colleges in America do not allow pets to stay in on-campus housing. Of the 38% that do, even most of these only allow fish to be kept. Only 10% allow dogs and 8% allow cats. While it may sound like a great idea at first to bring your pet to school with you, it is important to consider the great responsibilities of doing so, the great time and effort it takes to care of a pet as well as being courteous to those living around you. For more information about colleges that allow pets, visit http://collegeapps.about.com/od/collegerankings/tp/Pet-Friendly-Colleges.htm.